If you have looked for a home to buy in Lakeland, you may have noticed something - there are not many of them to choose from! Right? You do have another choice, you can build a new home (or buy a move in ready newly built home), and some builders will give you thousands of dollars for the pleasure! And, me and Focus Realty Group, KW Lakeland, can help you find a great new home, in a great location, with a great home site and builder to fit your wants and needs. Now what? 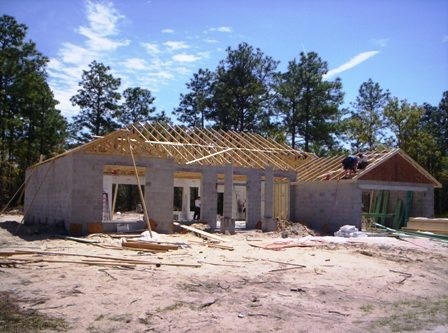 Many new home builders give buyers incentives to entice them to come build with them. Incentives like free options and upgrades. Sometimes these giveaways can be tens of thousands of dollars. Give me a call or text 863-640-2246 today to talk about the latest incentives available! When you select a home in a Lakeland community, the builder will often pay for some, and sometimes all of your closing costs and pre-paid expenses. This can be as much as 3-5% of your purchase price - that's a lot of money! Contact us online today to learn more about what closing costs local builders are paying at the moment. Did you know that you might be able to buy a brand new home with as little as $500 to $1000 out of your pocket? Yep. As long as you have a job, pay your bills, have decent credit (it doesn't need to be perfect), and can be approved from a government backed loan, you could buy a new home for little to no money down. Okay, some new home loans have $0 down payment requirement, however, most builders have some time of deposit requirement, and most lenders ask that you pay for the appraisal needed for the loan when it's ordered, so $500 to $1000 in total out of pocket expenses to purchase your home - which is thousands less than the traditional 3.5% plus and closing costs that may be needed to by an existing home. There is a lot more that could be said about this subject, but for now, give me a call at 863-640-2246, email me at jared@focusrealty.co or contact me online to speak more about the many, money saving offerings available to you through new home builders. Why not? You may be surprised how great it can be to buy a new home.